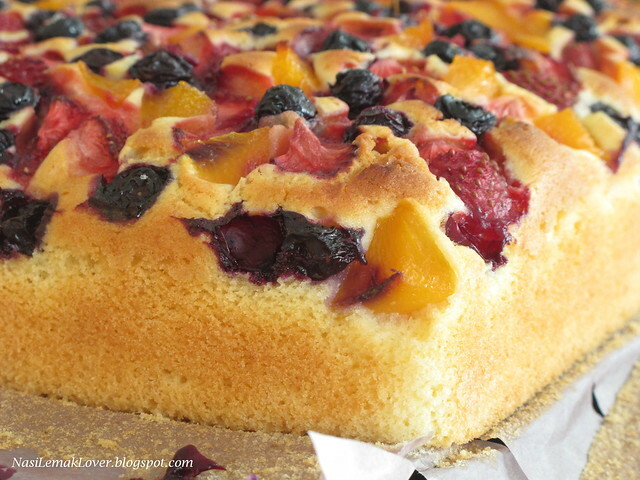 I would like to submit this mixed fruits pastry cake to Aspiring Baker#5 : Fruity March hosted by Bakericious before the last day of closing. I baked this cake for my sister-in-law family from Kuantan who came to visit me and stay a night with us. 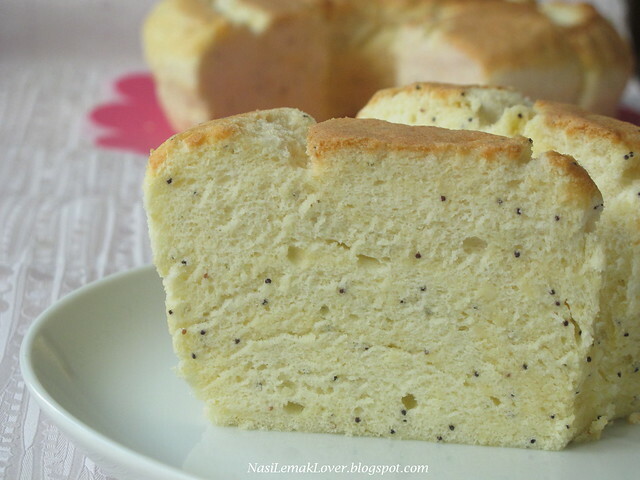 I know this type of cake is suitable for them, as it is less oily, not too sweet and very refreshing with all mixed fruits. 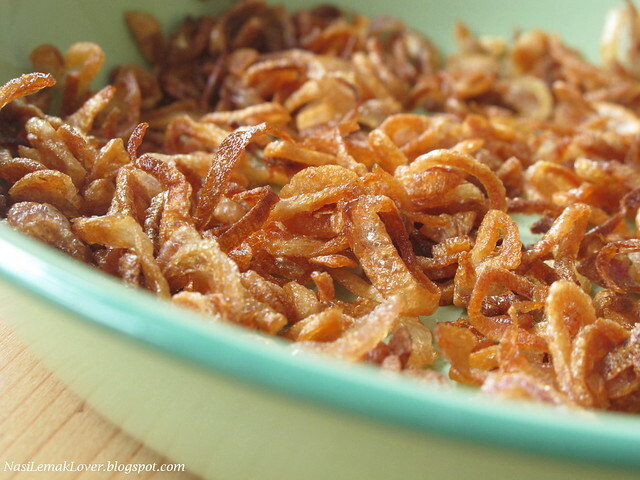 When i first learn how to cook, fried shallots is one of the recipe that i learn first as we like to sprinkle fried shallots on Hokkien mee,dried sauce noodles, fried tapioca noodles, hand-pulled noodles,prawn mee & etc. Thought fry shallots should be easy, just fry the shallots slices in hot oil, but to get cripsy shallots, after i tried for few times, I still could not get the crispy shallots like my mom use to be prepared. After learned from my mom, there are few tips to get crispy shallots. Maybe you already know how, but I would like to share here as to benefit for those still try to figure out how. 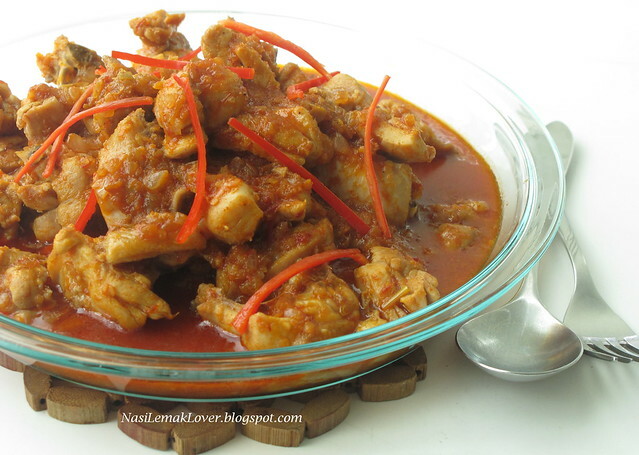 I like spicy foods, when I first see this recipe, i immediate bookmarked and keep it to cook list. 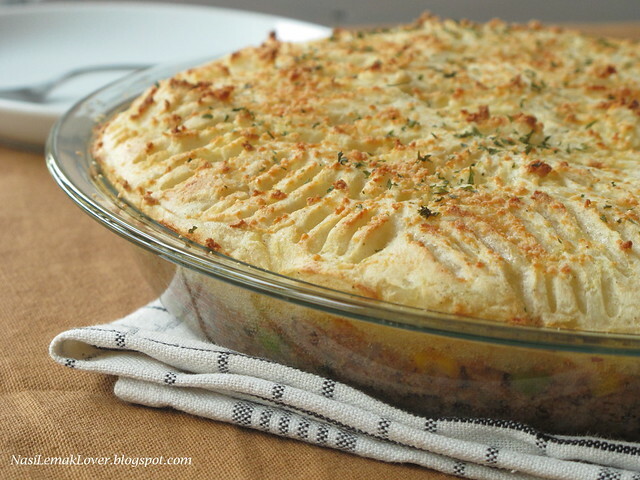 But when I see Jane so quickly tried this recipe and strongly recommended by her, i cook straight away on the same day. 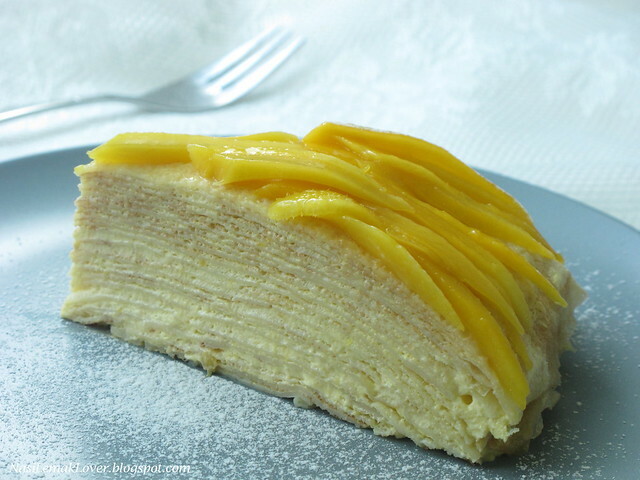 I heard there is a bakery shop in Malacca selling this famous Mille crepes but I have never try it. I just did this cake yesterday, no difficult steps but you need some time to make this. I waited 48hrs then only can enjoy this cake.. When i know Cuisine Paradise hosting the 2 dishes plus 1 soup event / $20 budget meal event, i know i have no problem to participate this event. 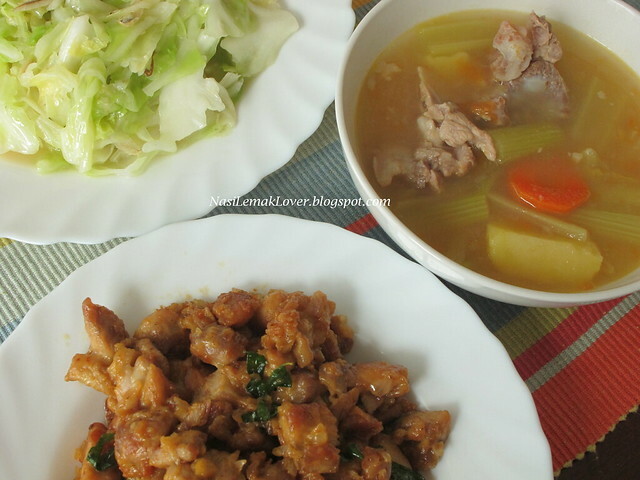 Usually I will prepare 2-3 dishes plus 1 soup or no soup for daily dinner. If $20 is referring to our currency Ringgit Malaysia RM, i think it is hard for me to prepare 2 dishes +1 soup with only RM 20 when fish or meat are in the menu. But when convert $20 convert to RM, it is about RM 50, then this amount is sufficient to have a good meals. 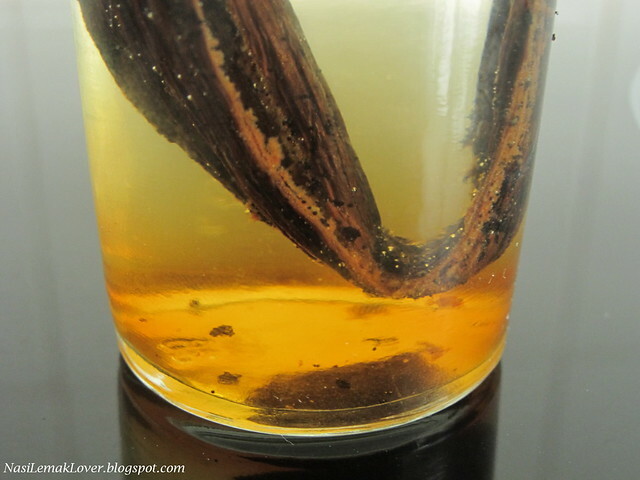 Before Colin came to visit me during CNY, he asked me to suggest a gift that he could bring for me, so I quickly suggested good vanilla beans from US as I have been thinking to make my own vanilla extract. 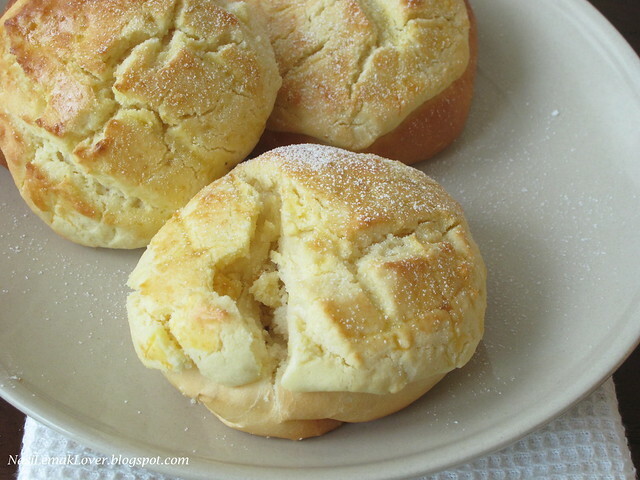 Today i spent about 4hours to make this soft and yummy Polo buns, using the method of "gelatinised starch". 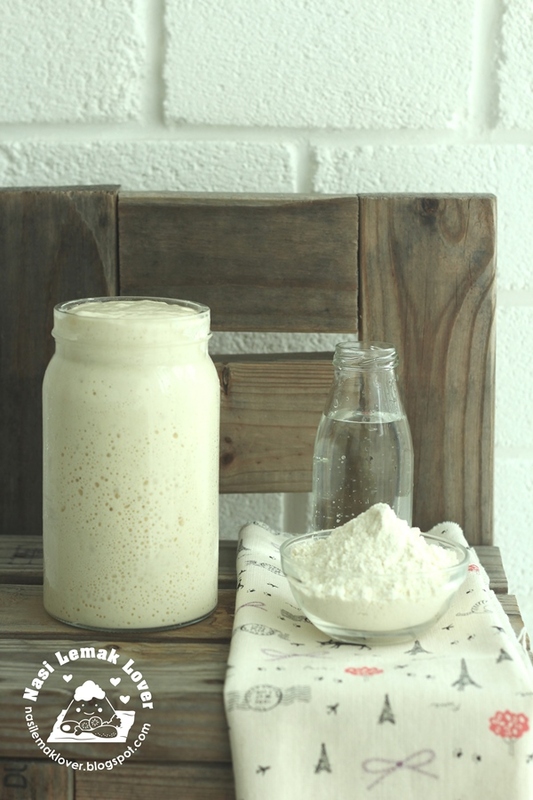 The study said starch gelatinisation take places when heat and moisture is applied to a starch, gelatinised startches absorb more water than untreated starch, thus resulted softer bread. This also remind me of the Polo bun i took during my trip to Hong Kong and the taste is not much difference from my homemade Polo bun. Beside Kuih Keria, Cucur Badak is one of my favorite Malay kuih-muih (local cakes and sweet treats). 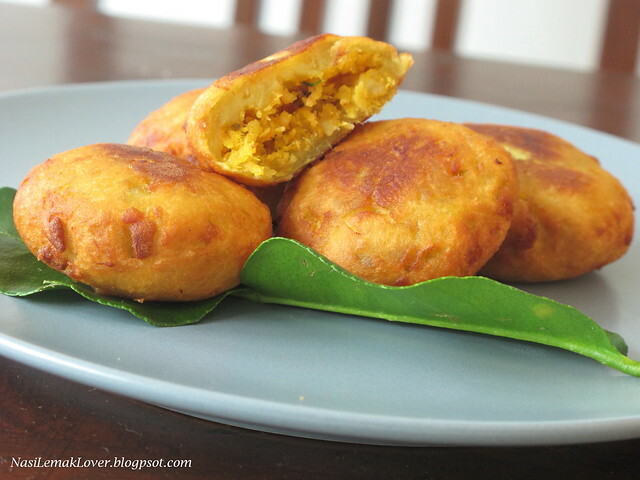 Cucur Badak use a lot of local & Asian ingredients e.g sweet potato, fresh turmeric, lemongrass, kaffir lime leaves, grated coconut and etc. 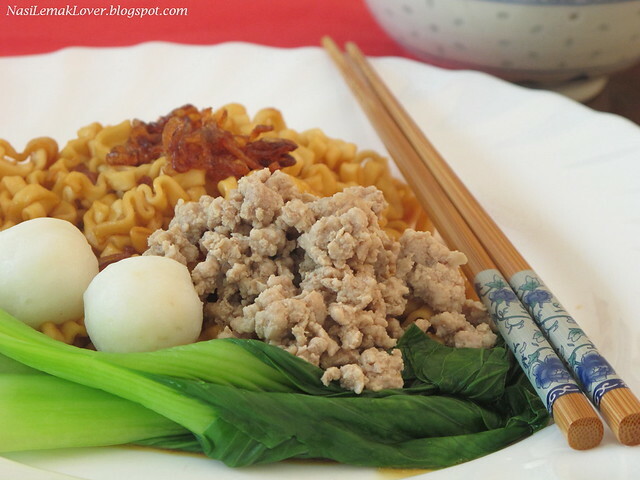 Today I would like to share with you this humble home-cooked noodles, easy and quick dried sauce noodles, also called as" Kong Low noodles". Usually I like to prepare this noodle during lunch time. 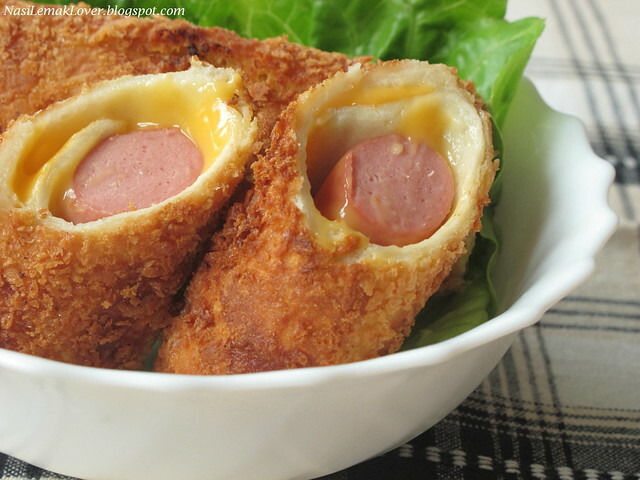 When i first see this Tofu chiffon recipe, i just curious how it would taste. 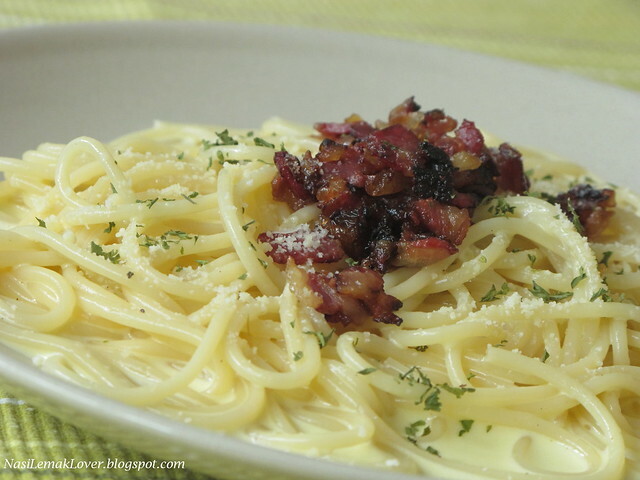 My son Desmond has been asking me to prepare white spaghetti(he doesn't know the name) for him after he tried Spaghetti Carbonara at a Italian restaurant recently. Basically I know the ingredients for this spaghetti but still google for a recipe for reference. I got this idea making Kueh Bahulu in new way after I watched a TV food show talk about a traditional bakery shop in Penang selling those traditional of Chinese wedding cookies (Hei Peng) which includes kuih bahulu (egg sponge cake) 鸡蛋糕. This is one of my favourite childhood's cake. 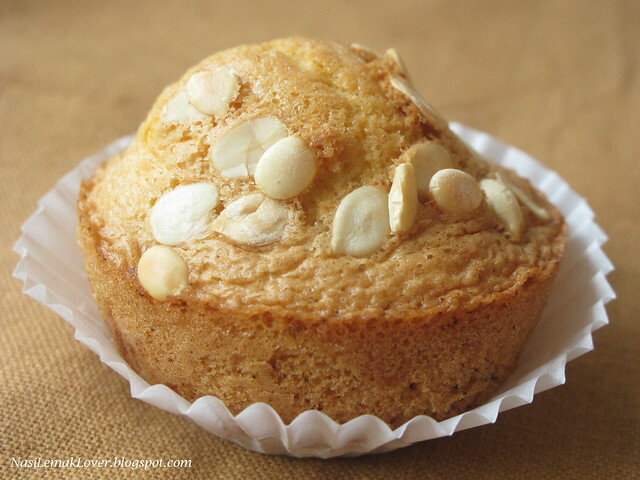 Since I don't have the traditional mould, I just bake it in muffin pan. 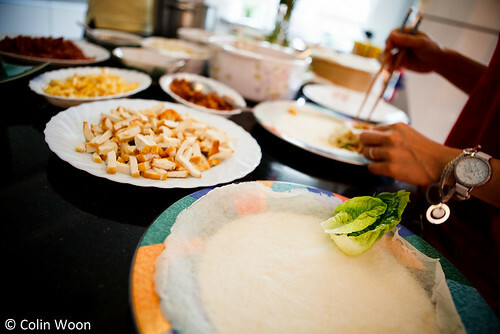 Here i would like to share with you the another bloggers gathering i attended during CNY. We had a potluck and BBQ party at Reese's place at the poolside. All of them i had met except Quay Po Cooks. 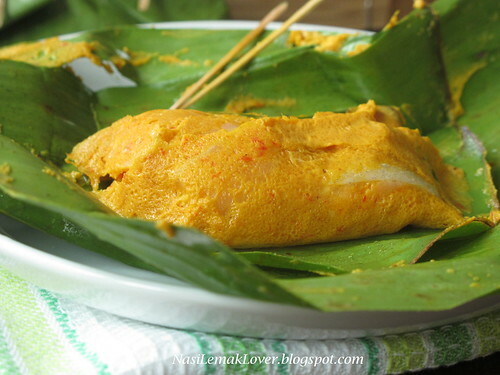 I also learnt the salmon otak-otak from Quay Po cooks which is very yummy and my kids love it especially my little son Desmond. This series of nice photos were taken by Colin Woon but not me. It is my great honor to have his permission to post all these photos here.